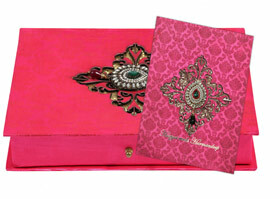 Which is the right theme for an Indian Wedding Invitation? - Hitched forever! 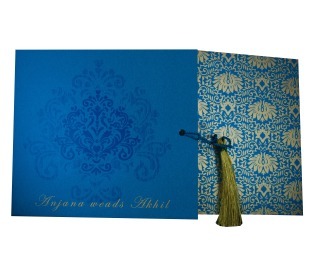 Which are the best themes for Wedding Invitation/Cards, especial Indian Wedding Invitations? I could easily share some statistics from the 1,00,000+ invites we have printed so far. But then, that wouldn’t help an individual because a Wedding Invite is personal – it is an invite to all your near and dear ones to join you in your Happy Beginnings!An invite tells a lot about what your guests could expect in your wedding. Weddings are a festival by itself, with relatives flocking in days before the event and then those fun evenings with elaborate functions. Something you will never forget in your life. Its why we call weddings Happy Beginnings! at HitchedForever. Right from the content to the design, the thickness of the card to the colour, all play an important rule. Every aspect of the Wedding Invite should have a clue about your wedding – and make your guests wait impatiently for the big day. For choosing the right invite, I have listed below some important aspects that you should consider. Most weddings are a gathering of friends and family, 80% of our customers at HitchedForever choose a traditional invite even if they have planned a modern wedding. There were instances when the bride & groom where from different religions and choose invites with their respective religious motifs! The question is how much of traditional/cultural values do you want to integrate in your invite? 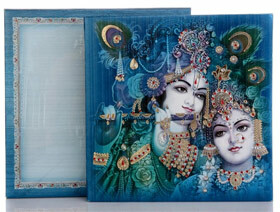 This is a traditional Radha-Krishna themed invite – It is very popular amongst our customers in North America! or a Royal Wedding Theme is often used for Hindu Weddings. 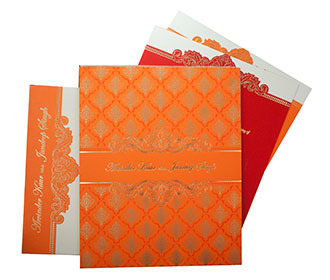 Colour red is preferred in Hindu Wedding Invites while Muslim Wedding Invites are preferably green in colour. 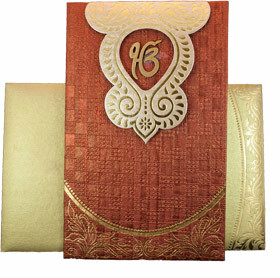 Also the motifs or designs like in this beautiful accordion designed wedding invite is often religion specific. So first consider the religious motifs which needs to/shouldn’t be on the invite when it comes to selecting a theme. A floral theme in black can never be a good choice naturally, but imagine a black wedding invite with golden floral designs (if its foil printing, the better) – it would look so beautiful & elegant!. 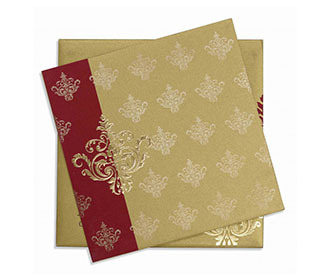 A Wedding Invite sets the tone for your wedding, it in fact announces how carefully you have planned the wedding. It has to create an inquisitiveness in your guest’s mind, it should give clues on what awaits yet do not reveal anything. Colour is one such factor, it should match the decor, flowers and even the table spreads – maybe the wedding cake too. You can choose multiple colours to include it all, bring contrast with the colour of wordings. Also, colour and theme should go hand in hand. Below are some beautiful colours you should consider. We had a customer for whom we printed the invite thrice before we could get the right shade of ‘hot pink’ on the wordings. She was so happy with the final product; when she shared her wedding images, we were so proud on how the colour of her wedding invite wordings dictated the tone of the wedding decor – it was brilliant! Another important factor which ideally should be the first point of consideration. If you are in UK, you would understand the need of invites with dimensions less than 24 cm by 16 cm. Slightly bigger and the postal charges are almost double. So is it in Canada. Precisely why we introduced a postal friendly wedding invites collection. Consider the country where you will be using postal services and keep the sizes in mind while selecting the invite. Click on the above image to see a list of postal friendly invite with HitchedForever.com. And then there is the Orientation of your invite ↦ the number of inserts. It’s a tough task, especially with your fiancée, your family & your extended family, all have a say or an opinion on every aspect of your wedding, let alone wedding invites. But then, thats why weddings are so much fun – an event that is once in a life time. And Happy Beginnings! don’t come easy.So we at HitchedForever made a mega menu for you to pick and choose. Would love to hear from you – any theme which needs to be added or any changes to be done, any feedback at all.